We have all heard those stories about meeting the partner of your dreams across a frozen chicken which can only mean one thing – you need to look good in the aisles! Now, popping out for a loaf and a pint of semi-skimmed can mean rocking a vintage look too. Gone are the days of getting out your crumpled plastic bag – make an effort girls! 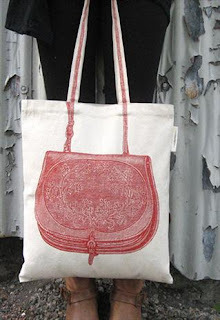 Introducing the ever so cute, environmentally friendly but seriously stylish eco-shopper! This re-usable shopping bag is made from washable organic cotton or canvas and boasts a great selection of wonderful vintage handbag printed to the front of the bag – Awesome. We have also found they also make the perfect gift for Mums and Aunties! Click Here To Shop These Fab Little Shoppers!